Oh, Brothers! For Rockies pitcher with 0.28 ERA, there’s a higher calling (reporting from Los Angeles). Page 1. Except that he’s standing in the visitors’ clubhouse at Dodger Stadium as he makes this claim — a few hours before pitching yet another scoreless inning for the Colorado Rockies. “People look at me as an athlete, but I want people to look at me as a normal human being, too,” says Brothers, 25, a left-handed reliever who fires 97-mph fastballs. 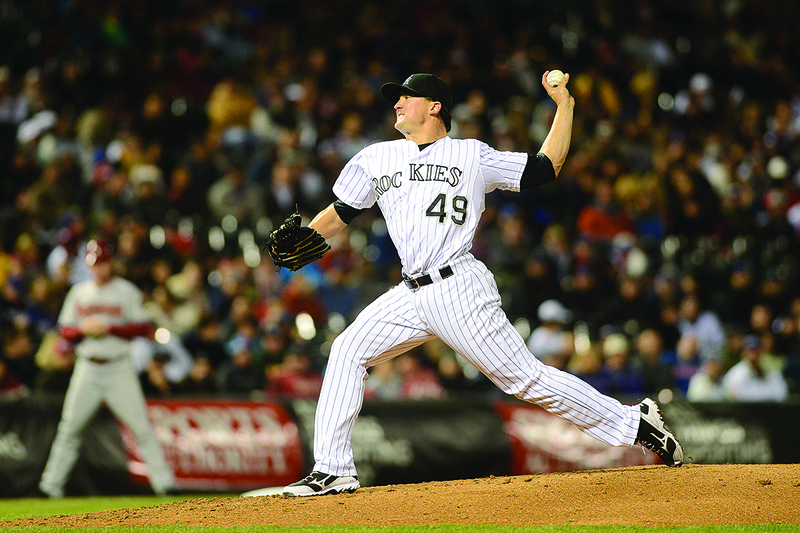 A faithful Church of Christ member and former Lipscomb University star, Brothers stepped into Colorado’s closer role in late May after an injury to Rafael Betancourt. The Shelbyville, Tenn., resident has been a top prospect since the Rockies made him the 34th overall pick in baseball’s 2009 amateur draft. He has compiled amazing numbers so far this season: He has thrown 31 straight scoreless outings covering 29 innings and boasts an ERA of 0.28. More importantly, fellow Christians describe Brothers as a humble, down-to-earth disciple of Jesus who pursues a higher calling than baseball. Montana church seeks, strengthens, sends: Congregation in Big Sky country emphasizes local evangelism while training leaders for service around the globe (reporting from Great Falls, Mont.). Churches That Work. Youth sports: a modern-day idol for some families? Inside Story. This post highlights my stories in the August 2013 print edition of The Christian Chronicle.